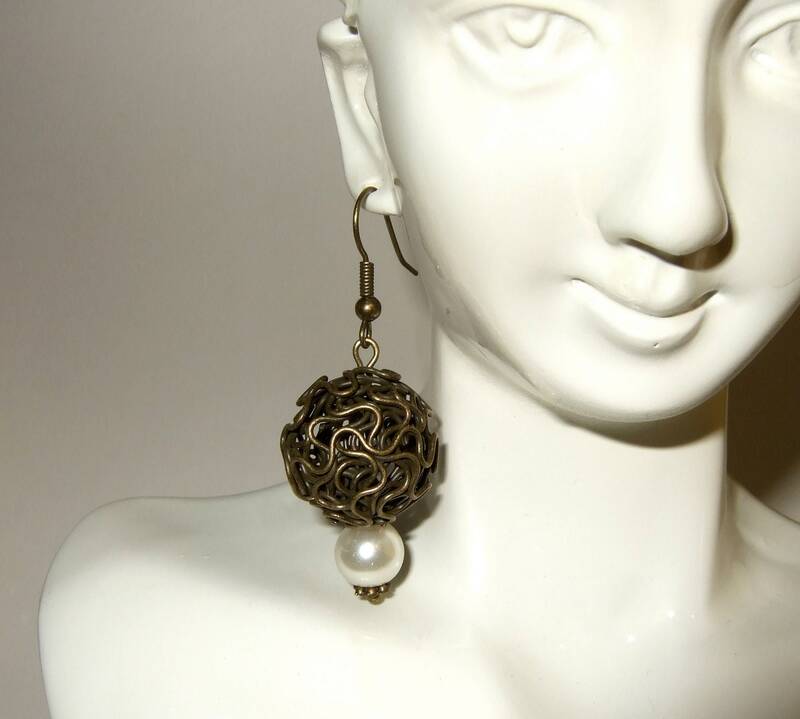 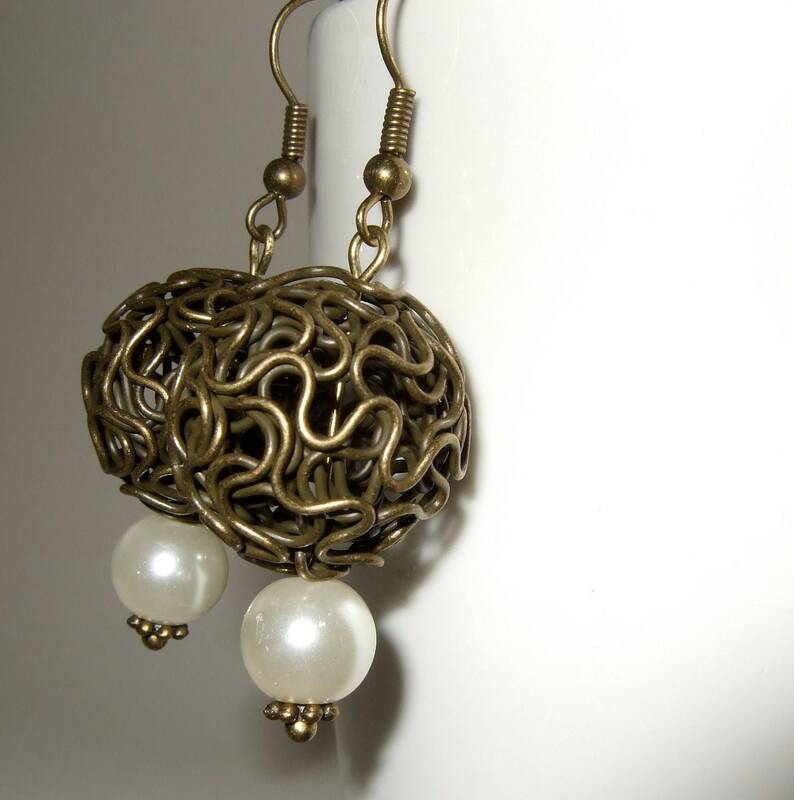 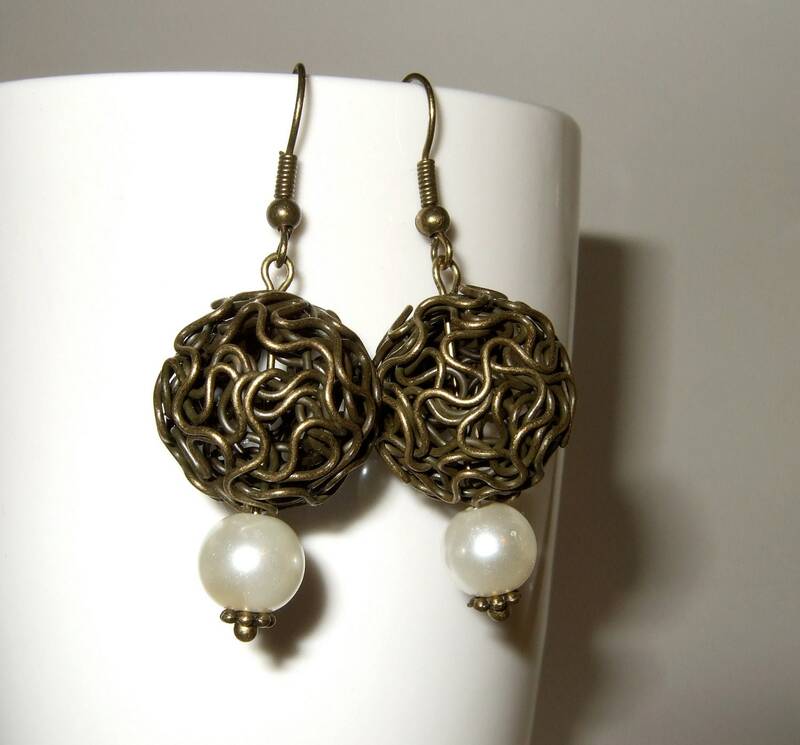 Two bronze plated hollow twisted wire balls are accented with cream glass pearls and suspended from bronze plated earwires. 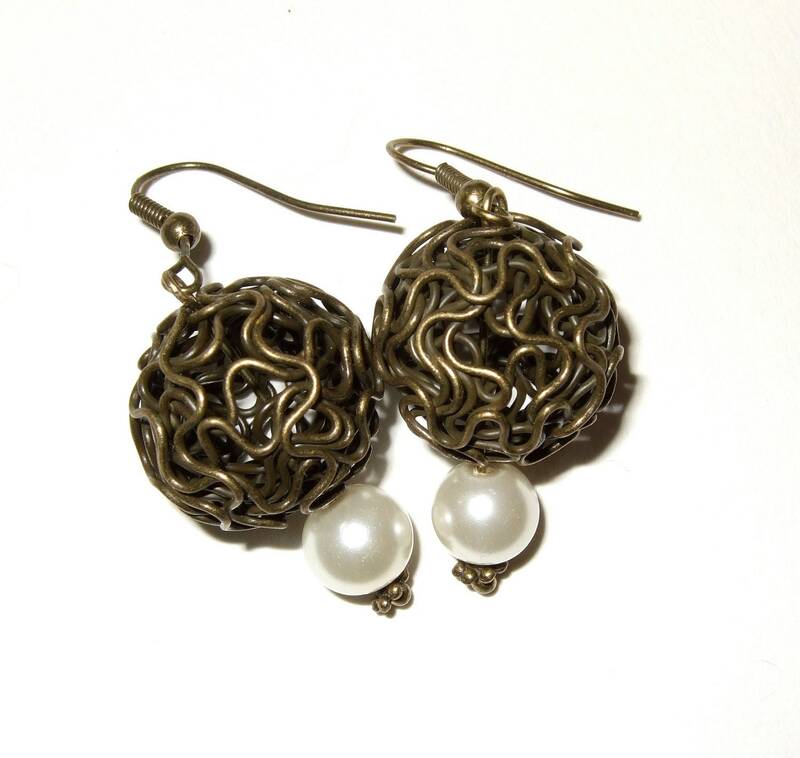 The total drop is approximately 2"/5.5cm, and each ball is around 0.75"/3cm in diameter. 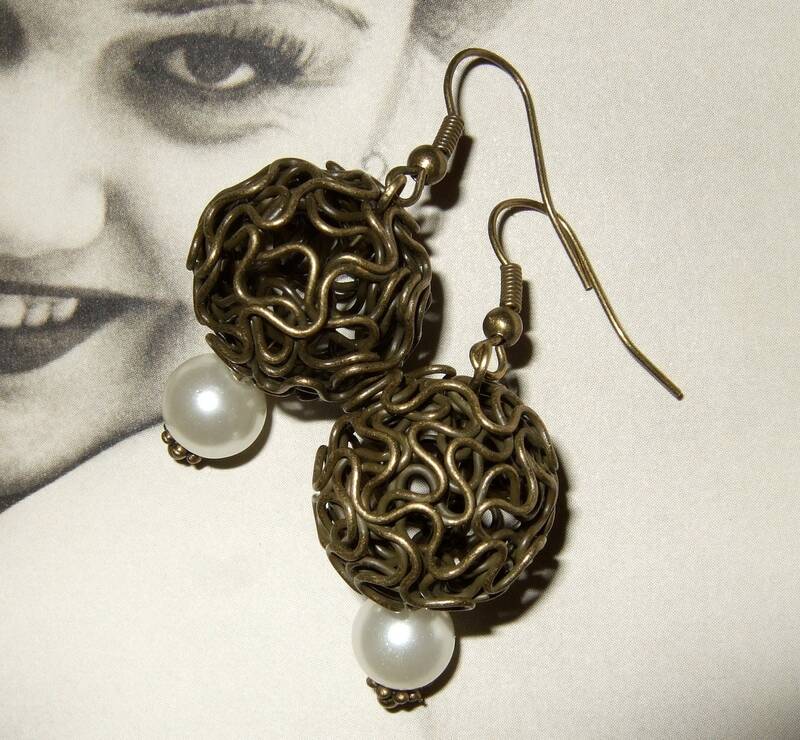 Something a bit different to treat your lobes to!